- 32mm dia open cut, 29mm center-center fixing hole. spin alum alloy pins, 33 mm x 47mm, min. chassis top mount, tan base,British Mfg. galvanized pins, 33 x 47 mm, min. 33mm dia cutout, chassis under mount,British Mfg. gold plated pins, 30 mm Dia, min. 26mm dia cutout, chassis under mount, pcb type, Russia Mfg. gold plating & solder type pins, 30 mm, min. of 26.5 mm dia cutout, chassis under mount,Russia Mfg. galvanized pins, 33 mm x 47mm, min. of 28 mm dia cutout, chassis under mount, tan & black base,British Mfg. 34 mm x 50mm, min. of 27 mm dia cutout, chassis top mount, brown base,British Mfg. galvanized pins, 27 mm, min. of 27 mm dia cutout, chassis under mount,Blue base, Italy Mfg. galvanized pins, 30 mm Dia, min. 26mm dia cutout, chassis under mount, pcb type, Russia Mfg. gold plated pins, 25 mm Dia, min. 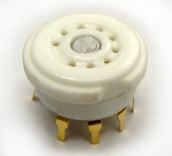 22mm dia cutout, chassis under mount, pcb type, Russia Mfg. galvanized pins, 43 x 27 mm, chassis under mount,brown base,British Mfg. tined pins, 41 x 56 mm, min. of 30mm dia. cutout, chassis under mount,spoted stainless steel frame, British Mfg. galvanized solder pins, 24 x 35 mm, min. 19 mm dia cutout, chassis top mount, black base, British Mfg. tined solder pins, 24 x 35 mm, min. 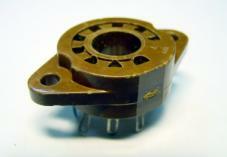 19 mm dia cutout, chassis top mount, brown base, British Mfg. galvanized PCB pins, 24 mm dia., min. 19mm dia cutout, chassis top mount, British Mfg. galvanized solder pins, 23 x 34 mm, min. 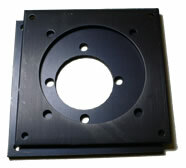 19 mm dia cutout, chassis top mount, black base, British Mfg. galvanized solder pins, 24 x 35 mm, min. 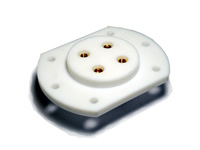 19 mm dia cutout, chassis top mount, brown base, British Mfg. tined solder pins, 24 mm dia., min. 19mm dia cutout, chassis top mount, British Mfg. 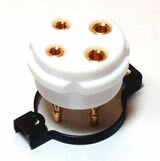 TS9BC-EL156-UK 9pins EL156 bakelite tube socket, galvanized pins, 43 x 56 mm, min. chassis top mount,black base,British Mfg. galvanized pins, 48 x 33 mm, min. 29mm cutout, chassis under mount,black base,British Mfg. tined contact, 29 x 16 mm, holds about 8 mm tube top.. etc, white glazed ceramic, UK Mfg. 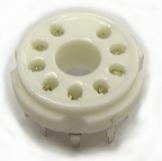 silver plated contact, 32 x 16 mm, holds about 9mm tube top or for 807 etc, white glazed ceramic, China Mfg.